From the small fishing village of Edo, to the metropolitan prefecture that is modern day Tokyo, Japan’s capital has advanced beyond measure since 1869. The city that boasts the largest population in the world is also home to some of the biggest corporations at the forefront of technology. The business core of the city consists of three central wards: Chiyoda, Chuo and Minato. During the day, the population of these wards is over seven times higher than it is at night. With such a huge number of inhabitants and a literacy rate of 99%, it is unsurprising that Tokyo has experienced continuous economic growth even during periods of nationwide recession. Aside from its remarkable populace, Tokyo’s economic prowess lies in its technological advances and continuous research into the next big thing. Japan's Ministry of Education has announced it will be requesting 11.1 billion USD in science and technology funding, thus demonstrating the nation’s dedication to maintaining its high-tech dominancy. From the fastest train line in the world, the Shinkansen (which travels at an astronomical 581 kilometres per hour), to globally famous developers including Walkman and the Sony Corporation, Tokyo has produced ground-breaking technologies. Tokyo has become a haven for appreciators of all things computerised. In the Land of the Rising Sun, with vending machines that sell everything from flowers to neckties and mechanised toilets, you will be in constant awe of this futuristic city. 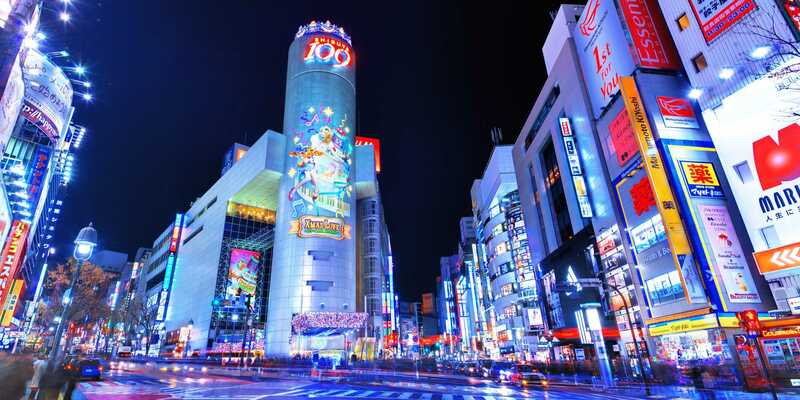 Because the technology sectors most prominent names are based in the capital, Tokyo can also boast some of the best technological universities in the world. Whether you’re interested in studying or working in Tokyo, or perhaps both, you will not be disappointed. You will be able to gain a specialised and industry leading education, skills and experience to advance your CV above the competition. Naturally, the largest city in the world is home to the largest higher education institution in Japan that specialises in science and technology. The Tokyo Institute of Technology (Tokyo Tech) has a total of 10,000 students and approximately 1,400 academic staff. The main campus faces Ōokayama Station providing easy links to its other two campuses in Suzukakedai and Tamachi. With six schools and over 40 departments and research centres between them, Tokyo Tech is a hub of expertise in everything technological. Impressively, the university operates the supercomputer Tsubame 2.0 which demonstrates the establishment’s reputation as a world centre for innovation. Tokyo University of Technology (TUT) aims to apply ground-breaking research to contribute to the progress of technology to improve our quality of life. TUT runs two festivals: Koukasai and Kamatasai. These festivals are organised by students and include concerts, exhibitions and food stalls. The Katayanagi Institute is an organisation within the university that hosts research laboratories at the forefront of cutting-edge research, which students have full access to so as to learn in a professional environment whilst at university. The university includes schools in engineering, computer science, media science, bioscience and biotechnology, design and health sciences. Although not an institute solely dedicated to technology, the University of Tokyo is one of the world's leading research universities and boasts a superbly competitive school of technology. The Graduate School of Information Science and Technology offers a broad variety of courses at the highest level of academic quality. There are many opportunities for foreign students to get involved in university life by participating in study tours and parties organised by the school. English lectures are offered every semester and Japanese classes are also available. Recently completed your studies in one of Tokyo’s distinguished institutions? Well, why not stay and work! Even if you haven't studied in Tokyo or Japan, the city caters for motivated and passionate expats. In a country that is largely culturally homogenous, Tokyo has the highest percentage of foreign born residents (2.8%). This makes Tokyo perhaps the most welcoming of Japanese cities for international workers as you’re more likely to find similar people. With over 500 companies’ headquartered in Tokyo, there are plenty of opportunities to sell yourself and cultivate your career in Japan. From household names such as Mitsubishi, Sony, Nikon and Sega, to home-grown Japanese companies like Tokyo Gas and JX Holdings, there is something to suit everyone’s specialism. Companies such as SoftBank are currently involved in the most advanced developments in the world of robotics. Tokyo’s National Museum of Emerging Science and Innovation is home to ASIMO, a robotic dancer created by Honda, and Otonaroid, an astonishingly life-like museum guide. If you want to be at the heart of developing the greatest and newest forms of automaton, your best chance is working as a university researcher. Although they are becoming more common throughout workplaces in Tokyo, robots are coming from the work of university designers and innovators. Due to the immense size of the city it can be difficult to get your resume to the right people. Thankfully, many job opportunities are posted online on websites such as GaijinPot (which has everything from professional positions to dish washing), JREC-In (which is geared towards those with a master’s degree or higher) and CareerCross (specifically for bilingual careers in Japan, as well as Tokyo).